The FAA announces new requirements for pilots who fly commercial airplanes: including tougher training and enhanced monitoring. The FAA’s announcement follows an in-depth investigation by NBC Bay Area which exposed foreign pilots getting minimal training. New training requirements put into place by the Federal Aviation Administration on Tuesday include tougher proficiency requirements for pilots who fly commercial airlines. The FAA wants to improve pilots’ ability to handle stalls in mid-air as well as other unusual maneuvers. The FAA’s move was first prompted by the fatal crash of a Colgan Air flight on final approach to Buffalo Niagara International Airport back in 2009. That crash killed 49 people on board the commuter airplane and one person in a home on the ground struck by the airplane. Foreign Airline Pilots, US Flight Schools: Do They Get Enough Training Time in the Cockpit? The NBC Bay Area Investigative Unit travels to international flight schools in the Bay Area and across the country. Former instructors question whether the in- flight training is enough for these young pilots before they get into the cockpit of large, wide-body international commercial jets. Stephen Stock reports. The FAA’s action also touches on pilot training issues that the NTSB continues to investigate as possible causes for the crash of Asiana Flight 214 at San Francisco International Airport on July 6, 2013. That Asiana accident prompted NBC Bay Area’s Investigative Unit to begin a deep look over several months closely examining the training of foreign pilots. 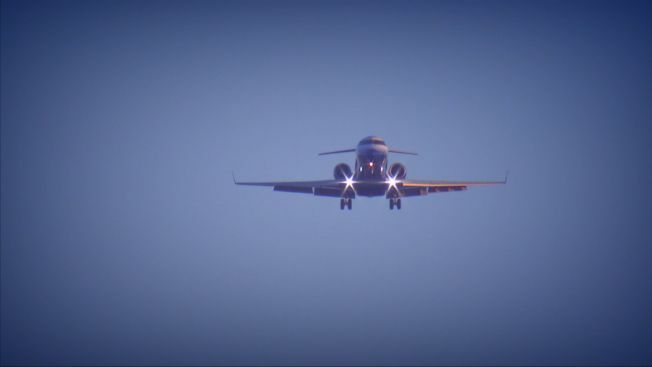 As part of that investigation, NBC Bay Area traveled to several flight schools in the western United States that specifically train foreign pilots. Many of those flight schools are either owned by or sponsored by foreign airlines to train their employees in basic flight training in the United States. One school in Bakersfield was actually created and currently owned by the Japanese airline All Nippon Airways (ANA). At each of these flight schools the students train for 10 to 12 months, getting a private pilot’s license and instrument-rated licenses. That training typically ends with a check ride, which is overseen by an FAA examiner, before those students get their pilot’s license. Last year alone the FAA issued nearly 4,820 individual commercial and air transport licenses to foreign pilots. Eight different flight instructors told NBC Bay Area that, once students graduate with about 200 hours flying time, they go home and quickly get into jumbo jets with automated cockpits. That means within the current training system, almost all of those foreign pilots get only a year or so of manual flying on small airplanes. The flight instructors also say that most, if not all, of those students become very proficient using computers and automated systems. But they don’t get a lot of time to practice manual flying skills before heading back to their home country to fly big jets. That lack of manual flying skills can be problematic, according to numerous flight instructors. “When things don’t work, you have got to know how to fly the aircraft,” said Jason Pachall, a flight instructor at California Airways in Hayward. Lead instructor at IASCO flight training center in Redding, Calif., Matt Lazenby, agrees, saying that once students graduate, they do not fly planes manually frequently enough. A former veteran flight instructor, who wishes to remain anonymous because he fears for his future career in aviation, told NBC Bay Area’s Investigative Unit that he believes this lack of practice has the potential to jeopardize safety. “The quality of the pilot is not as good as it could be for sure,” the anonymous instructor said. He also told the Investigative Unit that foreign airlines pressured the school where we worked to graduate students once they reached certain hours of training, whether they were ready or not. “If they went over on those hours, that would fall on the flight school so they would tell you, you have to get them done in those hours you cannot go over so do what you have to, to get them ready,” he said. And the Investigative Unit found the pressure to get more pilots in the cockpits of Asia-based airlines has never been greater: According to a Boeing Market outlook for 2011-2030, growth in the Asian airline market – including new orders for airplanes — far outpaces the rest of the world; 34 percent of expected orders for new airlines will come from the Asia Pacific region, according to the Boeing study. That demand to fill the seats of the cockpits of those new planes puts even more pressure on flight schools to turn out more and more pilots. “More people need to speak up about what’s going on,” the anonymous instructor said. The FAA sponsors special training sessions for local pilots who fly as a hobby. At Tradewinds Aviation last month, Assistant Chief Flight Instructor Gene Hudson gave a presentation on the importance of understanding automation in the cockpit and not relying too heavily on it. “He has to be disciplined about not allowing himself to be consumed by the automation,” Hudson told the room full of pilots. “So the pilot has to exercise some flight discipline, and maybe some of the time just turn the automation off and fly the plane,” Hudson said.